The WireBinder Duo is 2 wire binding machines in one. With both 3:1 and 2:1 punching dies onboard, this clever binder allows you to bind both thin documents (up to 110 pages) and larger documents (up to 320 pages) on the one machine without changing punching dies. This is a robust machine with an all metal construction. 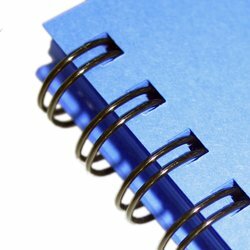 The efficiency of the three-handle design - One handle allows you to punch the 34 square holes (for binding documents 5mm to 14.3mm in thickness). The other allows you to punch the 23 square holes. (For binding documents 16mm up to 38mm in thickness) The third handle allows you to close wire documents easily. Adjustable wire closer selector allows for secure, precise and even wire closing. Binds up to 36cm in length. It seems that Akiles has looked to fill a gap in the marketplace with the WireBinder Duo. As the only machine available to consumers that can bind documents with either a two to one or three to one pitch hole pattern, the WireBinder Duo offers users some unprecedented flexibility. Here are some of the strengths and weaknesses of this machine as we see them. Of course one of the WireBinder Duo's biggest strengths is its ability to punch in either a two to one or three to one pitch ratio. If you consider that you can use the three to one pitch punch with wire-o, spiral coil, or GBC Proclick, and that the two to one pitch punch can utilize double loop and spiral coil, you actually have the possibility of five separate binding styles with the WireBinder Duo. That is a lot of flexibility for a machine at this price point, and perhaps one of the reasons the WireBinder Duo seems to be growing in popularity. This machine features a pair of punching throats, each of them 14 inches in length. What this gives you is the ability to punch any document that is legal sized or smaller. While this is a great capacity, it is important to note that the open throat design and the fully disengageable dies of the WireBinder Duo mean that you can punch documents that are larger by using a two punch process. The WireBinder Duo has a nice little system in place for setting the depth at which you punch you holes. It is very easy to use, and will help you ensure the strength and usability of the books that you are producing. We really liked the inclusion of the wire closing mechanism on the WireBinder Duo, and were especially impressed with the heavy duty construction that it features. It is clearly designed to last for years. 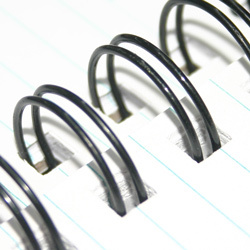 Plus, the wire hanging hooks that are also on the front of the machine provide a very efficient system for adding pages onto your wire binding spines before you close them. 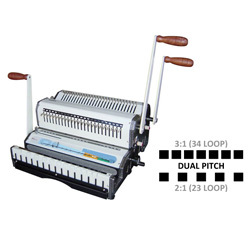 Although this machine can be used to bind documents with both three to one and 0.400 pitch coils, these supplies can be a difficult to get a hold of. In fact, they can take a few days to produce so you will want to make sure you stay on top of your supply ordering process. The WireBinder Duo has a ton of great features, but with that comes, of course, a little bit of a learning curve for inexperienced users. This is a machine has a lot of buttons, handles, and knobs, and if you have never operated and kind of binding machine before you may be a little bit confused. 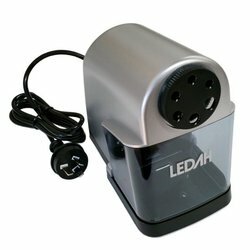 This is not something that should dissuade you from purchasing the WireBinder Duo, just something that you should be aware of. Once you get the hang of this machine, you should have no problems at all. This machine offers great flexibility but it is still a manual binding system. High volume users may want to consider purchasing an electric binding system or a modular binding punch to increase productivity.